The Nationalist Congress Party (NCP) has threatened a statewide farmers’ agitation over the BJP-led Maharashtra government’s alleged poor execution of the farm-loan waiver scheme. MUMBAI: The Nationalist Congress Party (NCP) has threatened a statewide farmers’ agitation over the BJP-led Maharashtra government’s alleged poor execution of the farm-loan waiver scheme. The NCP’s state president Sunil Tatkare alleged that the state government has lied to the people about the loan waiver scheme and added that farmers in the state are suffering as a result of the scheme’s poor implementation. “The co-operatives minister has accepted that the problems in the loan waiver scheme are being caused due to the inappropriate implementation of the online scheme. 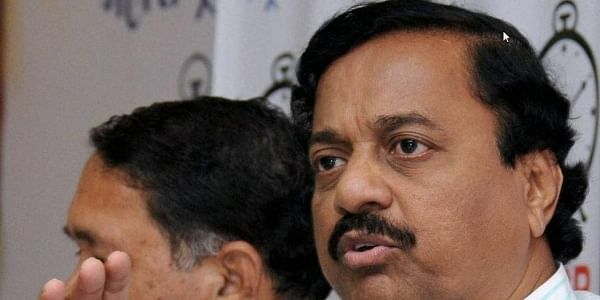 The mismanagement has been so bad that the secretary of the IT department has been sent on a long leave,” Tatkare said. Tatkare also blamed the state government for similar failures in other schemes where digital solutions were tried, like the direct scholarship transfer for the OBC, SC and ST students. The NCP is also gearing up for a mega protest march ahead of the start of the winter session of the Maharashtra legislature. The party president Sharad Pawar is expected to address the party workers during the march, Tatkare said.